The vehicle that most in the auto industry credit with starting the stampede to SUVs gains a handful of styling tweaks for the top of the line model. The design for the Cherokee was introduced as the first modern compact sport utility. Cherokee received a major update but the basic design remained intact. There are two engine options: the standard 184-horsepower, 2.4-liter four-cylinder and an optional 271-hp, 3.2-liter V-6. Both are teamed to a nine-speed automatic transmission, a first for Jeep and its Chrysler parent. The 9-speed transmission feels great, and Jeep representatives say that the manual feature allows for shifts within a threshold of maximum efficiency. Cherokee continues in 2-door and 4-door styling, and the latter is far more popular. The 2-door comes in a Sport price level, and the 4-door comes in Sport and Limited price levels. Both body styles are 167" long, 14" shorter than the Grand Cherokee. Cherokee holds five people, though the rear seat is cramped compared to some rivals', and the narrow rear doors can be tight for adults to negotiate. The spare tire is mounted upright in the cargo area, eating up some storage space. An outside tire carrier is available from Jeep dealers. Does the Jeep Cherokee need locking hubs? It depends on the year, but all the newer ones have auto locking hubs. You do not need to do anything but engage the 4x4 inside the truck that they lock themselves. How much does the Jeep Cherokee weigh? 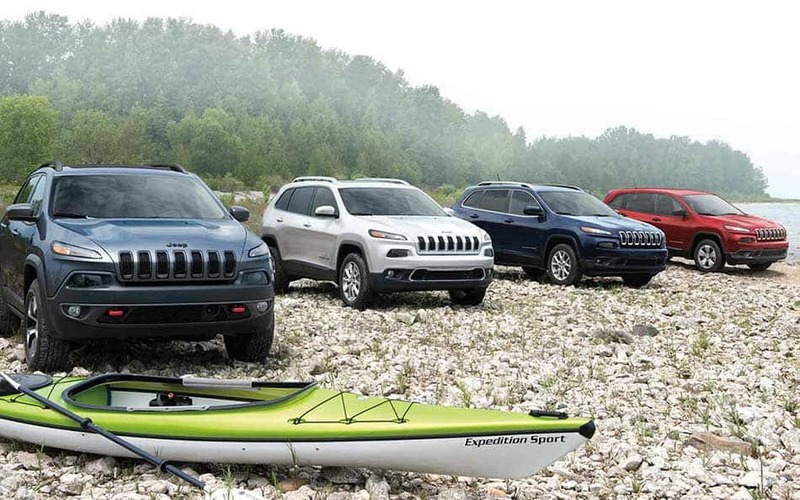 The Jeep Cherokee weighs roughly 3,000-3,100lbs. The Cherokee comes with 10 standard airbags including driver and front passenger knee bolster airbags. 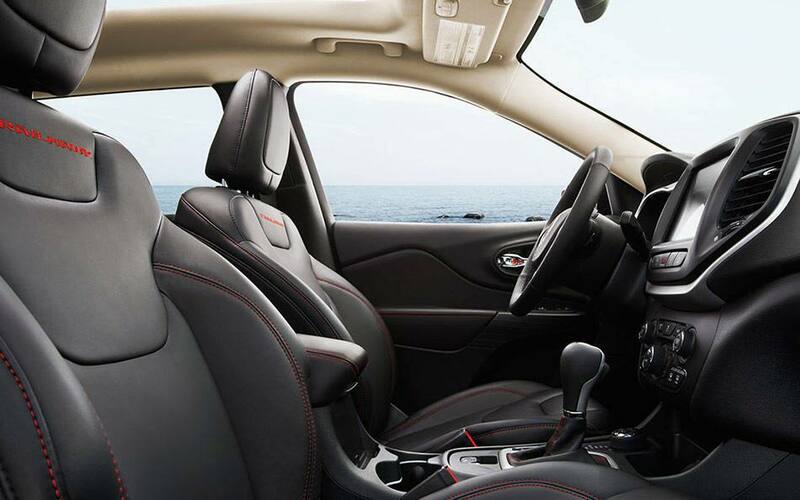 The rear seats also have side, seat-mounted airbags as well as curtain airbags. 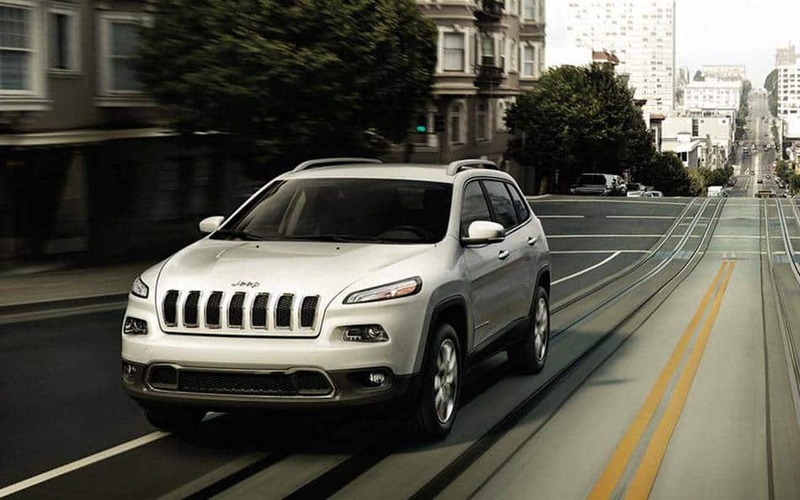 If you would like more information about the Jeep Cherokee, give us a call today!